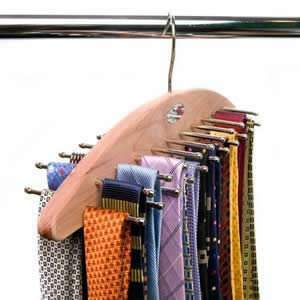 The streamlined shape keeps shirts & jackets in just - pressed perfection. 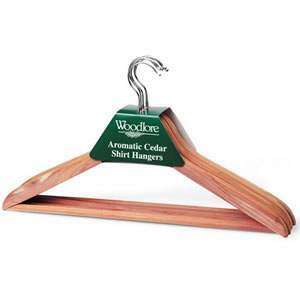 Woodlore Classic Cedar Wood Suit Hanger. 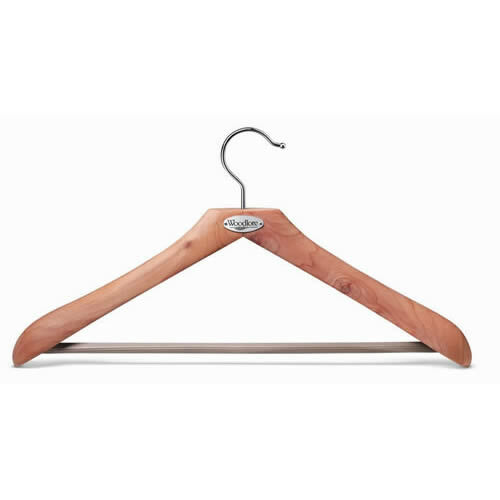 The streamlined shape keeps shirts & jackets in just - pressed perfection. 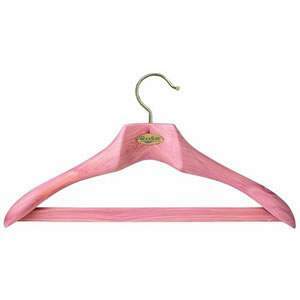 This is a substantial hanger that measures 48 cms wide ( 19" ) & 5 cms ( 2" ) wide on the shoulder pieces. 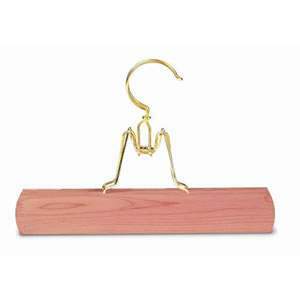 Gold plated swivel hook & a non - slip trouser bar.